1. Heat oil in a large skillet over medium flame on stove. 2. Measure out flour and place in a dish. If you like, you may add any seasoning to the flour, or just the black pepper. 3. Dredge the chicken in the flour and place in the hot oil. 4. Cook until lightly browned. 5. In the same pan, add garlic and white wine. 6. Cover and cook on low heat approximately 20 minutes, making sure that when a knife is inserted, juice runs clear, not red. 7. Check the chicken periodically and add additional wine if pan is dry. 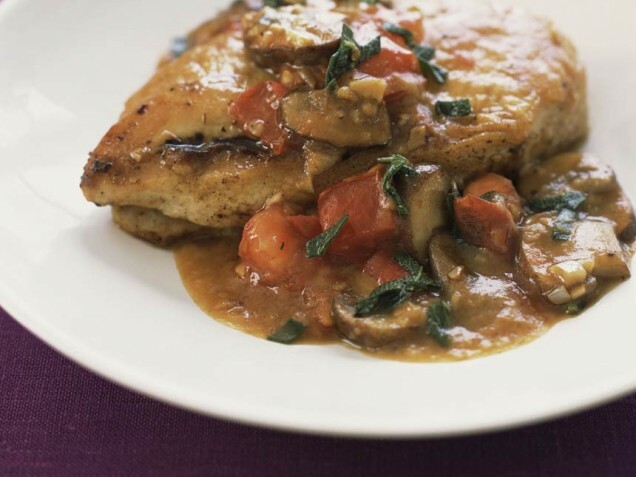 8.Serve chicken topped with wine sauce.